Great opportunity to create a lovely family home with large gardens in a quiet setting - make an offer on this renovation project. Pretty house in the country in need of full renovation on a plot of 2500m2. Will make a . . .
A character stone house, renovated to a high standard, with many original features - exposed . 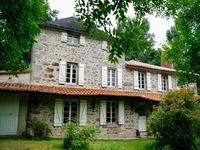 . .
Renovated ancient farmhouse with 5 beds, outbuildings and field - possible to create a gite. 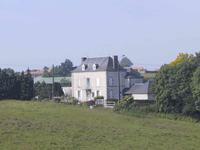 This property is in a quiet hamlet, just 5 kms from L'Absie with schools, supermarket, . . .
Well presented 6 bedroom house with lovely garden and garages. 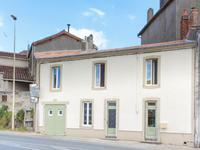 Located in a quiet hamlet just 2 kms from the centre of L'Absie with a boulangerie, shop, . . .
A pleasant 3 or 4 bedroom renovated house offering an opportunity to generate an income from . . . Impressive large manor house, office and stables, set in parkland overlooking the Gâtine countryside. Stunning 6 bedroomed property set in over 5 hectares of mature parkland, gardens, fields and . . . 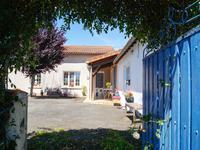 Located in the heart of a peaceful village close to the Vendée / Deux Sevres border this . . . Situated in a quiet lane and perfectly placed with everything in easy reach – excellent . . .
Rare opportunity to buy an ancient water mill, 4 bedrooms, 2 shower rooms, with room to add more. Covered swimming pool, river, lake and land. Former water mill retaining many original features such as the old mechanism plus bread oven . 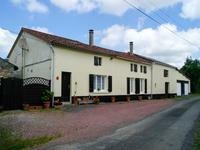 . .
LOVELY PROPERTY, WALKING DISTANCE TO VILLAGE CENTRE, IDEAL FOR EQUESTRIAN. 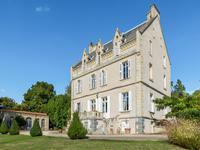 Situated on the edge of L'Absie this Maison de Maitre style house dates from 1850 with marble . 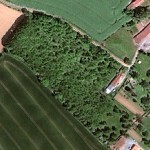 . .
Large piece of land, 1.5 hectares, set on the edge of a small hamlet near to the town of . . .
House with 3 bedrooms, garden, garage and workshop. 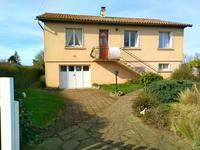 Detached house in good condition located close to L'Absie. Comprises on the first floor . . . Superb 4 bed family home on the village square, with separate 2 bed annexe. Perfect for a B&B and gite. 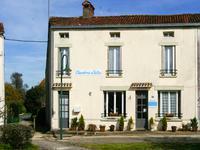 Situated in the small town of L'Absie, everything is within walking distance from this house. . . .